Looks like life will be like a hurricane in Duckberg once more. Not only is Disney’s DuckTales set to return with an all-new animated series in 2017, but Disney has just given us our first official look at Scrooge McDuck’s team. Disney has unveiled the first art for the new DuckTales series, viewable above. Huey, Dewey, Louie, Uncle Scrooge, Donald Duck, and what appears to be Webby Vanderquack are back in action, apparently outrunning spear-throwing pursuers in their latest adventure. When originally announced, Disney revealed that other beloved characters from the series like Launchpad McQuack, Flintheart Glomgold, and the Beagle Boys are also set to return. The Emmy Award-winning Disney animated series, which aired 100 episodes between 1987 and 1990, is a cartoon with an impressive legacy and a source of many fond memories for a lot of people. Based on the Uncle Scrooge comic books by Carl Barks, it dominated The Disney Afternoon daily syndicated cartoon block and became immensely popular, winning two Daytime Emmy awards and being nominated for two more, inspiring two series of comic books, an extensive toy and merchandise line, a number of Nintendo and computer games, and even a movie in 1990. DuckTales received widespread critical acclaim and commercial success which was recognized even years after it went off the air. In 2009, IGN listed DuckTales as number 18 on its list of Top 100 Best Animated TV Shows, and in 2013 the YouTube channel for WatchMojo.com rated DuckTales as the number one Disney animated series. DuckTales is also well-known for having what is easily the most infectious theme song of any cartoon in history, which you can watch below in case you’ve somehow forgotten it. Children of the ’80s, rejoice. 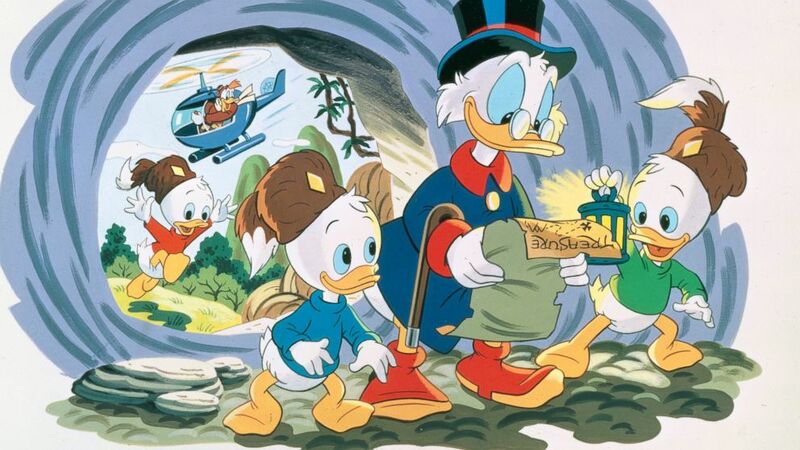 “DuckTales,” the beloved animated series, will be remade for a new audience, Disney announced today. The new series will again feature the adventures of Scrooge McDuck and his grandnephews, Huey, Dewey, and Louie, as well as Donald Duck. Other characters that will return are Duckworth, Gyro Gearloose, Launchpad McQuack, Flintheart Glomgold, Magica DeSpell and Poe, Ma Beagle and the Beagle Boys (Burger Beagle, Bouncer Beagle), Mrs. Beakley and Webbigail Vanderquack. Author RayPosted on February 25, 2015 February 25, 2015 Categories Disney ChannelTags Dewey, Disney XD, Donald Duck, Ducktales, Duckworth, Huey, Louie, Scrooge McDuckLeave a comment on WOO-OO! Ducktales is Back! 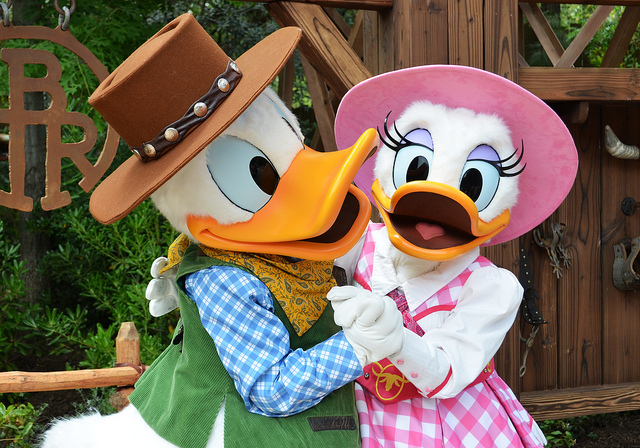 Donald and Daisy will begin a new meet and greet at Disney’s Animal Kingdom on May 11 2014. The new meet and greet will be replacing the Winnie the Pooh and Tigger meet and greet that ends today. Guests will be able to meet Donald and Daisy at the Character Landing on Discovery Island. At this point, only a standby line will be available, with no FastPass+ being offered.